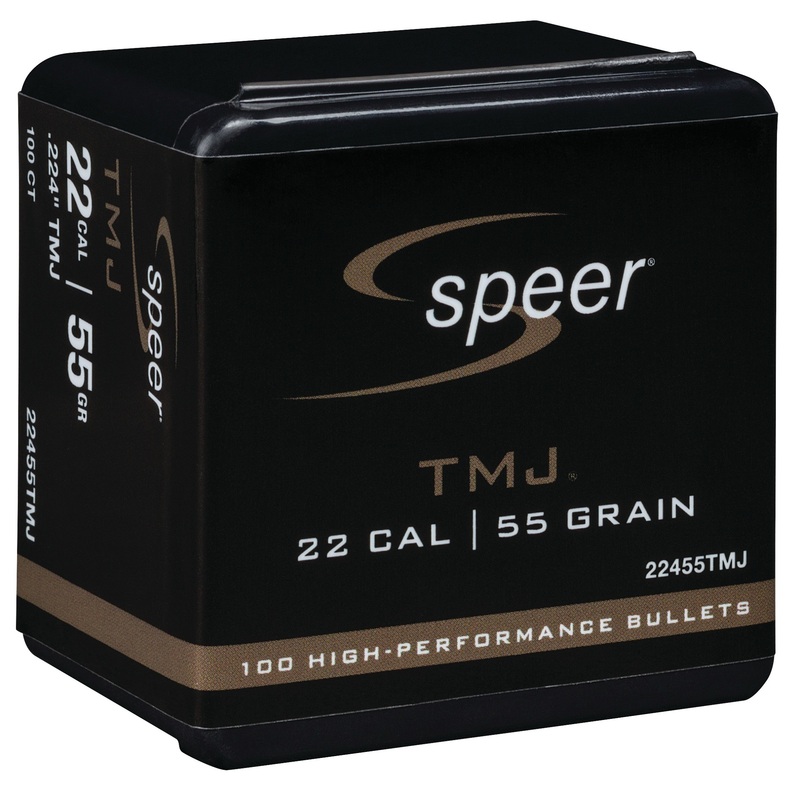 LEWISTON, Idaho - TBD, 2018 - Speer Bullets offers new calibers of Total Metal Jacket (TMJ) rifle bullets for reloaders. Standard FMJ bullets sacrifice accuracy by adding a separate piece of jacket to cover the bullet base—or leave exposed lead. 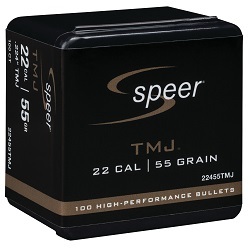 Speer TMJ bullets, however, totally encapsulate the lead core for cleaner, more accurate performance. Handloaders now have two new TMJ rifle bullet options to choose from—a 55-grain 224 cal. and a 150-grain 308 cal. Shipments of these new reloading components are being delivered to dealers now.